Dhani Harrison headlined the first show ever played under his own name at The Echo Monday night. If there has been some hesitation to invoke his surname, you can imagine why. His father’s legacy casts an impossibly long shadow. And for a bit of perspective, Dhani Harrison is stepping out at age 39, while his father’s dealings with The Beatles were said and done when George was only 27. 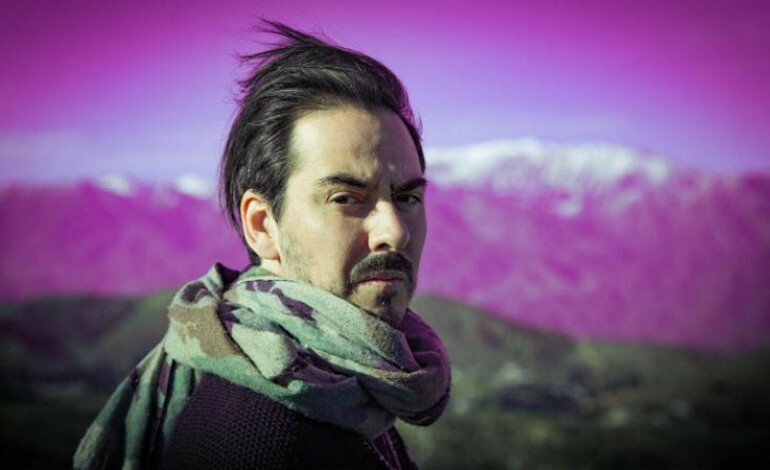 To date, Dhani’s musical career has mostly involved composing music for film and television, and playing as one half of thenewno2 alongside Oliver Hecks, and with Ben Harper and Joseph Arthur in Fistful of Mercy. But on October 6, Harrison will release IN///PARALLEL, his solo debut. With this much incubation time, it’s likely that Dhani followed Bob Dylan’s lead in knowing your song well before you start singing. Based on unique elements of creativity shared during his 11 song set in Echo Park, that very well may be the case. Upon taking the stage, Harrison lit sage to anoint the proceedings, and then dropped straight in to a IN///PARALLEL banger, the Floydian “Summertime Police.” Heavy thump came courtesy of thick and crunchy bass from Blas Perez and the drumming of Chris Hornbrook. The setlist was comprised of songs from virtually all projects that Harrison has touched. The most compelling performance of the set arrived when opener Mereki joined the band to contribute backup vocals on the chorus of new jam “Poseidon (Keep Me Safe).” Harrison handled the verses masterfully with own heavily distorted vocals. The sounds coming from his microphone were barely recognizable as words; it was as if auto tuned stems were then themselves auto tuned all over again to create some sort of newfangled underground digital device. What started as alien, eventually achieved resolution via a hesitant and moody uplift. It will be interesting to hear how this track, in particular, has been memorialized on IN///PARALLEL. During “So Vain,” a thenewno2 tune, Harrison returned to manipulate his vox, chopping them up, and repurposing their vaguely intelligible strains. A generous three-song encore started with the demented fun house and carousel noises in “Things Go ‘Round,” a tune from the Fistful of Mercy project, and ended with buzzy fuzz emitted from an Ebow held by Harrison during “YOMP.” The final stamp on the evening was the quintessential rock n roll move executed by the headliner, who violently stabbed the stage with his axe. Earlier on during the quieter “Timezone,” Dhani Harrison slipped in a simple lyric that passed in a blink of three words. “I walk alone,” he affirmed. It’s a tall order to escape his own lineage, but on the verge of his solo debut, he certainly seems poised to try. It should be noted that within the past week, The Echo has been transformed by the removal of 10-15 feet of ceiling area above the right half of the venue. It amounts to a feeling of exponential growth in the total size of the room, and is a welcome change to a space that was previously hamstrung by poor sight lines.